You asked for it – you got it! 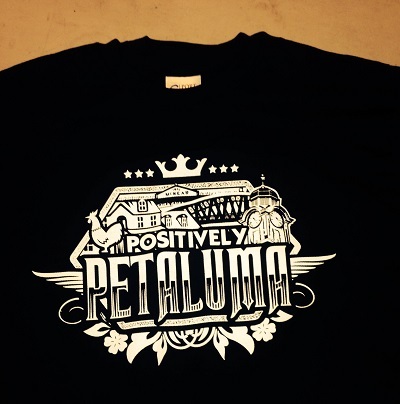 Many of our followers have asked for Positively Petaluma t-shirts. Well, here you go. These limited-edition Positively Petaluma shirts portray our history with landmarks of our great city. It can be yours for as little as $5.00. A dollar from each sale will be donated to COTS. We would like to thank Scott Dennison owner of Zephyr Pacific Sportswear for sharing our passion to spread good news about our community and making them available to you at his cost. Perfect gift for the holidays? Stocking stuffer for your favorite Petaluma friend? Take it to the gym and do a few reps in one? Sport one while drinking a gnarly grog at your favorite bar? Wear it to one of your favorite Petaluma parades or events? Sleep shirt so you can count chickens and have sweet Petaluma dreams? Purchase as many as you like. This may be the best way to help spread positive news about Petaluma while giving a little back to our community. Get one soon because there is a limited supply and we are only offering them through January 31, 2015. How to get one? While you are out running errands, stop by Zephyr Sportswear at 210 F Street in Petaluma (on the Boulevard next to Pinky’s Pizza) and pick them up. Other colors may be available. Their phone number is (707) 769-1000 or cell number is (707) 484-1785. 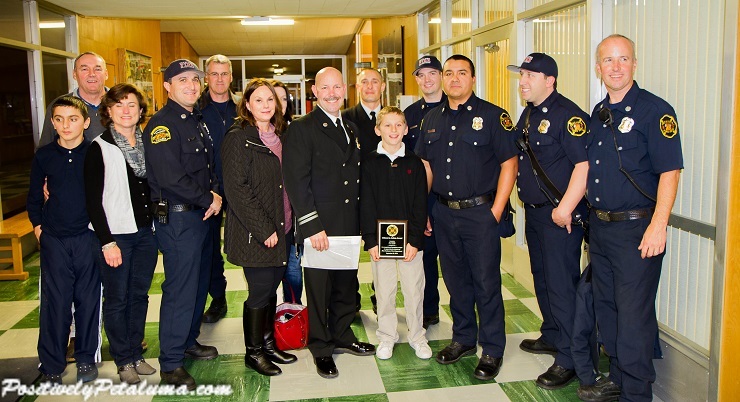 This story reminded me of one that we recently reported about Lewis from Forestville who save his father’s life called ‘Saves Lives Sonoma helps 13-Year Old Lewis Save the Life of His Father with CPR.’ Joe is a 10-year old from Penngrove and 5th grader at St. Vincent Elementary School. In the video at the end of this article you will hear the 911 call and learn about the events on how Joe would help save his mother’s life in the parking lot of the Petaluma’s Plaza North Shopping Center. A little after 7PM On December 15, 2014 Gabe Kearney, Vice Major, called the Petaluma Council meeting to order. He announced the first agenda item was Petaluma Fire Department to present a Citizen-In-Action Award. Captain Dan Farren and Firefighter/Paramedic Shay Burke approached the podium and started to play the 911 call. 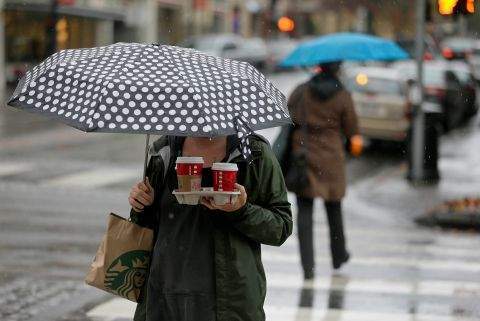 Captain Dan Farren indicated that on evening of September 25th 2014 at Trader Joes in Petaluma Joe noticed something was not right with his mother. We interviewed the family and they told us that they were in Trader Joes when things were not going right. Joe assisted his mother to their car – and no matter how much Joe tried to help her nothing was working. She was nearly unconscious when he took her cell phone and called his father Dennis, a San Francisco Firefighter who was on duty at the time. Dennis immediately called Rancho Adobe Fire in Penngrove. The on duty captain called Redwood Empire Dispatch Communications Authority (REDCOM), which is the fire and medical dispatch for entire Sonoma County, and gave them what little information they had. Normally when REDCOM receives a call from a cell phone they can triangulate the position from the cell towers – a ping from the cell phone – to determine the location. Click here to see other amazing photos and video of our recent storm. Hayley Yount-Severe associate publisher of 101 Things to Do in Wine Country was a guest on KSRO Radio. They condensed the 101 things to do in the wine county down to the three best. Two of the three that she recommends are in Petaluma. In this interview she mentions the Holiday Lighted Boat Parade (which is this evening) and the other is our City of Lights Driving Tour. She says that Petaluma does parades right! Also check out VIDEO: 80-Year-Old Heroes Saves Senior Mobile Home Park From Devastating NorCal Storm and Photos & Videos of Petaluma Storm. Author Wayne DunbarPosted on December 12, 2014 Categories News, Photo AlbumTags Flood, Lagunitas Brewing Company, Petaluma1 Comment on Need I Say More? The Casa Grande High School fish hatchery program is so successful that it has been highlighted in Japanese environmental science text books. The Casa Grande students raise the fish from eggs to adolescence and 40,000 each year are released. The Casa Grande hatchery is not the biggest in California, however it is the biggest fish hatchery in the nation entirely run by students. 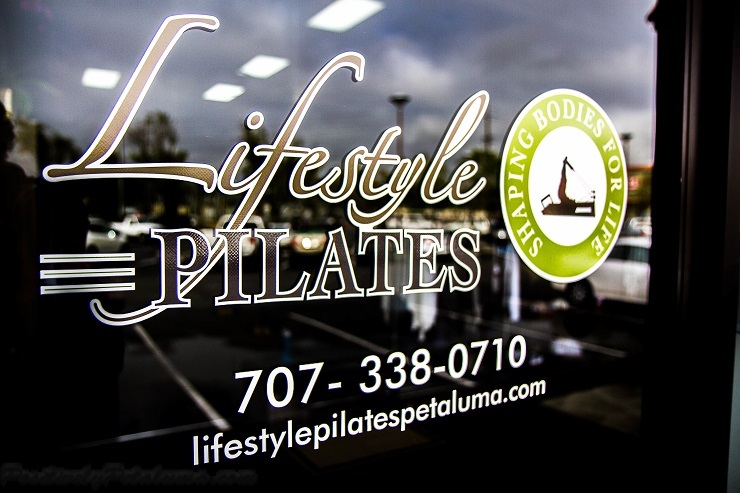 You will learn how this Petaluma mother of three grew her Pilates business from her front living room to a larger Washington street location at 353 E. Washington Street. She is inviting you to check out her new studio at the Grand Opening on December 12, 2014 from 5:00 to 8:00 PM. In our interview with the owner of the new LifeStyle Pilates, Gretchen said “I found Pilates in 2005 and have been hooked ever since.” That was the year she took her first Pilates class. However she was no stranger to health and fitness after working in that business now for over 12 years. She is a certified Personal Trainer through the Aerobics and Fitness Association of America (AFFA), a graduate of the Institute for Integrative Nutrition (IIN), and a fully certified Holistic Health Coach.